Course Information Taiheiyo Club is the Japan's largest golf club that owns 15 golfcourses across the country, and Gotemba Course is a principal course of the club. The great forest course laid on foothill of Mt.Fuji, and you may enjoy fantastic scenery while playing. It is a very beautiful and strategic course qualified enough to play host to international tournaments. US Golf Digest rated as Japan's No.2 golf course in the Best Courses in 100 Countries. 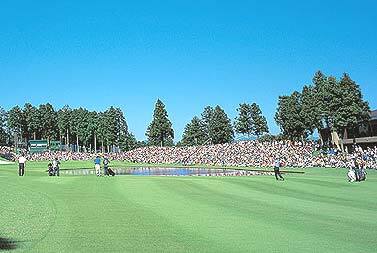 Site for EMC World Cup Golf (2001), Mitsui SumitomoTaiheiyo Masters (every year) and etc.